Gadget » News » Google Pixel 3 Marketing Brings Device To Jimmy Kimmel Live! In short: Google’s latest marketing stunt will involve a new sponsorship of ABC’s five-week run of the Jimmy Kimmel Live! 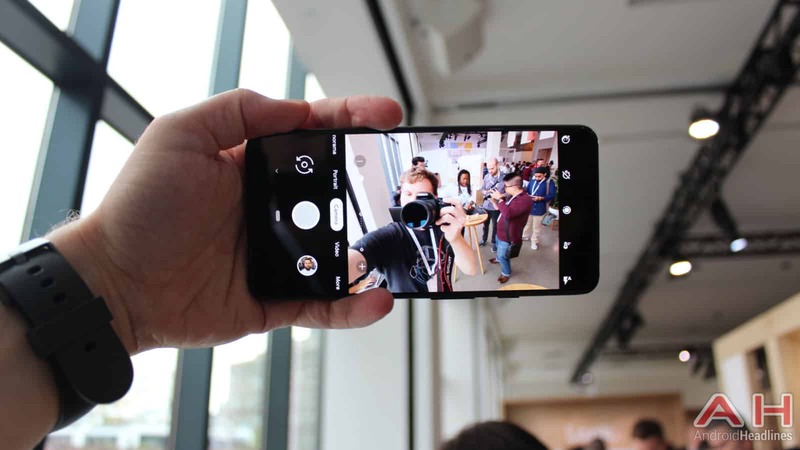 show in an agreement that will put the cameras of its Google Pixel 3 flagship front and center, according to a recent report from the Wall Street Journal’s CMO Today. In particular, the sponsorship will see the device being used to shoot a live performance set on top of the Empire State Building by self-described “Rap God” Eminem. The Pixel 3 and Google products will be shown throughout the production as well. For ABC parent-company Disney, the deal is said to include ad opportunities on Google’s products and platforms too – namely on its YouTube Music platform. Background: This isn’t the first time Disney and Google have teamed up on product promotions either. In fact, it also isn’t the first time a partnership has been formed with regard to the search giant’s devices this year. Earlier this month, in conjunction with the Made by Google hardware event, it was revealed that the two companies and OtterBox had partnered on a new ‘case’ for the Google Home Mini smart speaker. The case effectively transformed the Google Assistant-enhanced speaker into Mickey Mouse’s head, complete with big round ears for the $49 device. That accessory is sold under “The Den Series” branding and costs just $20. Prior to that, Disney brought a total of three text-based games to the AI-driven platform that featured fully voiced interactive experiences geared towards providing kids a new way to interact with the platform while simultaneously maintaining brand awareness. Impact: This new deal, meanwhile, is thought to be one of many incoming breaks from traditional marketing for Disney, as the company looks to expand its advertising. However, the inclusion of Google’s YouTube Music platform in the deal is also a point of interest. Primarily, that’s because the company’s efforts in that segment of the entertainment industry are still split between YouTube Music and Google Play Music. The company had been expected to begin shifting users over to the former of those in a bid to start placing all of its media offerings under the YouTube banner. As an advertising platform, YouTube does make more sense than Play Music but its inclusion here could also signify that Google is going to be placing even more emphasis on YouTube branding. You are reading an article on the Google Pixel 3 Marketing Brings Device To Jimmy Kimmel Live!. All materials on the site Gadgets F, а также и статья Google Pixel 3 Marketing Brings Device To Jimmy Kimmel Live! - written for the purpose of information enrichment and we are happy if you like our magazine. Reviews to article Google Pixel 3 Marketing Brings Device To Jimmy Kimmel Live!